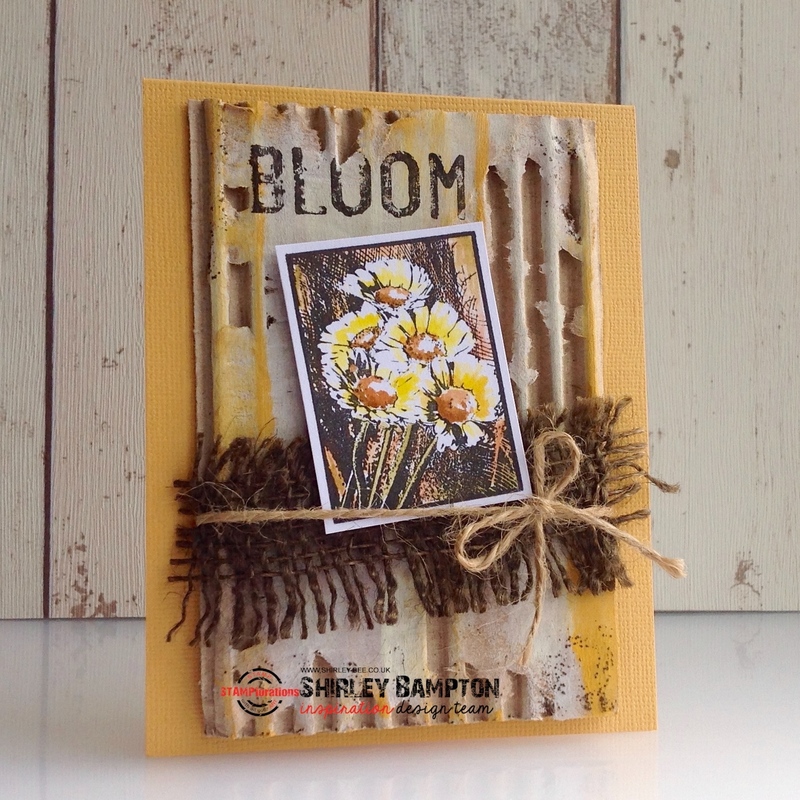 I went for a rustic look with a bit of corrugated card smooshed with Distress Paints, a bit of hessian and twine, and some selective colouring on the stamped image. 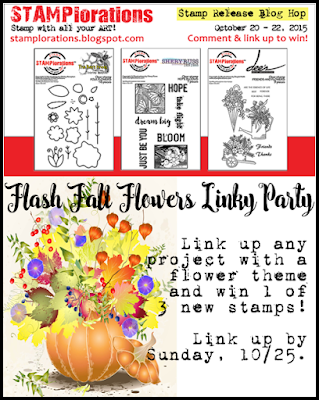 Have a look at all these prizes on offer, get commenting and join in the Fall Flower Flash Linky Party! I just love the rustic look! right up my alley! great job! LOVE the fab rustic look! Loving all the texture you added to this gorgeous card!! Fantastic! 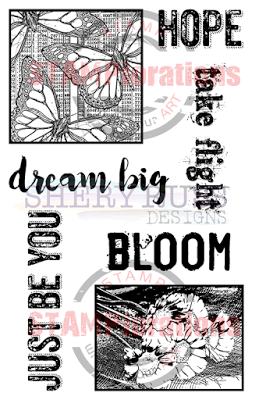 Love the corrugated paper with the distress ink. Beautiful job! LOVE LOVE LOVE the rustic elements juxtaposed against those delicate flowers. Perfect autumnal card. This is really beautiful! Love the different textures & especially the corrugated paper. Love this rustic look. 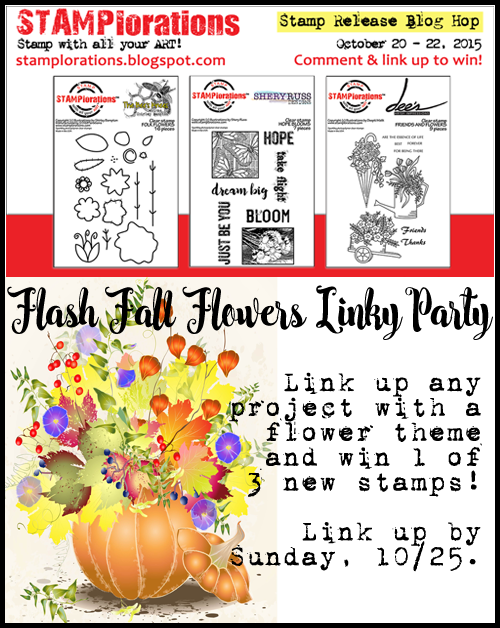 Perfect for a fall card. Rustic and absolutely wonderful Shirley. I wish I could reach into my monitor and touch this creation!!! Especially the corrugated paper and the rustic pieces of twine! Fabulous! Love the rustic look.. Beautiful card!! Nice textures. I keep coming back to the image of your beautiful card as there are so many details to take in and admire. The corrugated card and the hessian... and that beautifully coloured image. This is one of those cards which is more piece of art than card!